"Here's The Ultimate Easy Way To Stop Hackers And Thieves Stealing Your Downloadable Products From Your Own Thank You Pages"
If you're selling downloadable products such as ebooks and software, you probably already know about the risk of your products being stolen from your own thank you pages. It has been estimated that over half of all ebooks and software in use are stolen copies, with a large proportion of these being stolen directly from the thank you page. This of course means lost sales and income as potential customers simply grab a copy of your product for FREE instead of paying you for it. This is both very costly and very annoying. There's a lot of misinformation on the Internet about how hackers and thieves actually gain access to thank you pages without paying. The reality is that unless you give your thank you page a name that is easy to guess, like "thanks.html", it's actually quite hard for people to find it. If you give your thank you page a random name with letters and digits in, such as "ty_35369712.html", even sophisticated hacking software is unlikely to find it. There is however still a serious risk of a customer sharing his or her link with friends, or even posting the link on forums or Warez (illegal download) sites. The problem can be made considerably worse if a search engine picks up the link, making it accessible to anyone doing a search for your product. The only really effective solution is to use "expiring links". Each customer gets his or her own personal link to your thank you page that only works for a limited period of time (typically 24 to 48 hours). After this period, the link is disabled, making it useless to forum and search engine traffic. For additional protection, you can also limit the number of times the individual zip files can be downloaded through each link and even lock the link to a single IP address, so it's useless to anyone other than the actual customer. Our brand new Dragon Download Protector software creates these special expiring links automatically. It also offers a huge number of other features and benefits, making it an essential tool for anyone selling downloadable products. 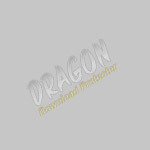 Dragon Download Protector is an easy to use script, which you install on your own web host. The setup tool will then create the script, which you upload to a folder on your web host. You can name this folder anything you want, such as "downloads" or "products". Once you've uploaded your script, you can use it to manage an unlimited number of products. For each product, you create a subfolder inside the folder where the script is installed. The name of the subfolder should be the same as the name of the product. For example, if your product were called "Affiliate Success Secrets", you would create a subfolder called "Affiliate Success Secrets". You upload all the downloads for that product into the subfolder, in zip file format. You can have a single zip file - or lots of zip files (as many as you want). That's all you need to do to add a new product. The script will automatically detect that a new subfolder has been created and will automatically add the new product to the system, using the name of the subfolder as the product name. Note: If you've never used a download protector script before, you may be used to putting downloads into folders with names that are hard to guess (such as download5454242) to reduce the chances of a hacker guessing the name. With Dragon Download Protector, you can give your subfolders and files nice simple names, because the script locks everything. All your files are totally secure, because they can only be accessed through the script. Note: Some web hosts don't like spaces in subfolder names, so instead of "Affiliate Success Secrets", you can also use "Affiliate-Success-Secrets", "Affiliate_Success_Secrets" or "AffiliateSuccessSecrets" - whichever you prefer. Once you have added a product to the script, it will create a thank you page for the product automatically. The script comes with a single web page (called a "template"), which is used to create the thank you pages. You can use this template as-is - or edit it using any HTML editor - or you can create a new template page from scratch. The page is a complete thank you page, except that it does not contain any links to any zip files - just some special text %%zipfiles%% which indicates where the zip file links should appear. To create a thank you page for your product, the script will take the template and automatically insert links for all the zip files in place of the %%zipfiles%% text. You can use the same thank you page template for all your products if you wish. Or you can create more than one template page, so you can use different pages for different products. You can add, edit and delete templates at any time. For each product, you can select which template to use, just by entering your selection into a box in the script. You can include the special text %%product%% in your thank you page templates and the script will automatically insert the name of the product being sold in place of %%product%%. This makes it easier to use a single template for more than one product. You can also include the special text %%buyername%% in your thank you page templates and the script will automatically personalize each thank you page with the individual customer's name (this only works when using Paypal, Clickbank or 2CheckOut as your payment service). Personalizing your page can make the customer feel more special. It can also make customers more reluctant to distribute their link to other people, since their thank you page is clearly marked with their name. You can also include the special text %%buyeremail%% if you wish and the script will automatically personalize each thank you page with the customer's email address (this also only works when using Paypal, Clickbank or 2CheckOut as your payment service). Your script has a password-protected admin page, which allows you to administer your products. In this example, you can see that there are three products being managed by the script. You can add new products at any time, just by creating a new subfolder for it - and delete products by deleting the subfolder. The script can manage an unlimited number of products. For each product, you can click "Get Code" or "New Link". Each product has a "Get Code" option, which is used to get the code for sales links/buttons for that product. The system is secured through the Paypal "IPN" system, making it almost impossible to hack the system. When someone orders using one of your Paypal buttons, the script will automatically create a new secure, expiring link (which links to the thank you page for that product). The customer will be directed to that new link as soon as they have paid. The link will also be emailed to the customer. Selling through Paypal really is that simple. Just generate the button, paste it into your sales page - and you're done. The system will handle everything else on autopilot. It's just as easy to sell through other services, too. To sell through Clickbank, you need to set up each product in your seller account on clickbank.com. Set up the product to send customers to the "Clickbank Link" for the product (as shown in the screenshot above) after they pay. The system is secured through the Clickbank "secret key" system, making it almost impossible to hack the system. To sell through 2CheckOut, you need to set up each product in your seller account on 2checkout.com. Set up the product to send customers to the "2CheckOut Link" for the product (as shown in the screenshot above) after they pay. The system can be secured through the 2CheckOut "secret word" system, making it almost impossible to hack the system. For both Clickbank and 2CheckOut, when someone orders, the script will automatically create a new secure, expiring link (which links to the thank you page for that product). The customer will be directed to that new link as soon as they have paid. The link will also be emailed to the customer. For other payment services, create the button from your payment service account and use the "Other Payment-Service Link" as the thank you page link. When someone orders, the script will automatically create a new secure, expiring link (which links to the thank you page for that product). The customer will be directed to that link as soon as they have paid (they don't get an email in this case as the script does not know their email address). In all cases, the script handles everything on autopilot. The script will manage an unlimited number of customers, each with their own unique, secure, expiring link. For each sale, the script will also send you an email with the details of the order (and the customer's unique link), so you can monitor your sales. Whenever a customer orders any product from you, the script automatically creates a unique expiring link, without any action from you. If you want to manually create a new link for any reason, just go to the script admin page and click on "New Link" next to the name of the product. The script will then instantly generate a new unique, expiring link. You can generate an unlimited number of unique links, all managed automatically by the script. Each customer gets his or her own unique link to the product thank you page. You'll notice the strange-looking series of letters and numbers on the end. It's only 24 characters long, so your links are nice and short and will not break when sent by email. But don't be fooled by this simplicity. The links have over 1,000,000,000,000,000,000,000,000,000,000,000,000 permutations (that's a billion, billion, billion, billion). It would typically take a hacker many thousands of years to hack these links using standard methods. Each link has an expire time set by you. You can set this expire time to anything you want - an hour, a day, a week or whenever. But most people go with 24 or 48 hours, allowing ample time for the customer to download. Your thank you page will contain a clickable download link for each of the zip files for the product. If a dishonest customer views the source code of the thank you page using their Internet browser, they can copy these zip file links and then distribute them. To prevent this, the script locks these zip file links into the thank you page, so they will not work if they are removed from the thank you page. For additional protection, you can limit the number of times each zip file can be downloaded by a particular customer. If someone does distribute their link to the thank you page, this will ensure that few people are actually able to use it. For even more security, the script can also limit the number of different IP addresses that can access any link. You can limit each link to a single IP address, or any other number you want. Each person connected to the Internet generally has a different IP address. When a customer first accesses his or her link, the script records their IP address. If you set the script to only allow one IP address per link, the script will then block access to that link from any other IP address. This means that links are useless to anyone other than the customer, making it almost impossible for people to share or distribute their link. If a link gets posted to a forum or Warez site, it's unlikely to cause a lot of damage because of the protection mechanisms built into the links. But even though it's unlikely to be necessary, you can still disable any link, at any time. Simply go to the script admin page and paste the link into the "Disable Link" box and the script will instantly and permanently disable that link. Many people like to build a mailing list of customers using an autoresponder service. 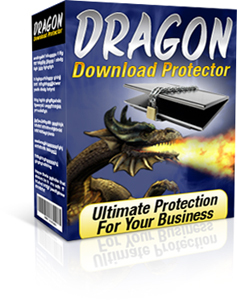 When selling through Paypal, Clickbank and 2CheckOut, Dragon Download Protector can automate this process for you if you wish. Customers will be automatically subscribed to your autoresponder when they order any product from you. Affiliate scripts generally use one of two mechanisms, to record the sale. They either require the inclusion of special code into a thank you page -or use some sort of technique to actually pass the link to the thank you page through the affiliate script. Dragon Download Protector supports both these mechanisms, which means you should be able to use it with any affiliate script. You can use a single installation of this software to manage an unlimited number of products. In addition, you can install this software on as many websites as you want (as long as they are all owned by you). One of the big drawbacks with the Internet is its open nature, making it very easy for people to hack and steal with complete anonymity. If you are selling downloadable products, you are almost certainly losing money from this problem. 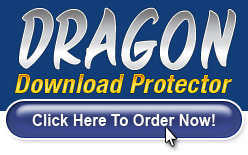 Dragon Download Protector is the easiest totally secure solution available on the Internet, adding a powerful security shield around your thank you pages, with minimal effort. Consider the losses you could be making as a result of theft and hacking and I'm sure you'll agree that the low price of just $47 for this powerful software makes this a real bargain. However, despite the fact that I'm offering this superb software at such a low price, I still want you to be 100% certain that it will really work for you. So please order now to ensure that you get all these benefits for this low price. Requirements: This software is for use on PCs running Microsoft Windows. Your web host must support PHP, MySQL and .htaccess files (most decent web hosts support these as standard). Automatically subscribing customers to an autoresponder requires an autoresponder service that accepts "subscribe by email" with emails sent by a script. Earnings Disclaimer: Although Dragon Download Protector has been proven to help protect your website, products and income from theft and hacking attacks, the results are dependent on many factors outside our control. We are not therefore able to give any guarantees about the level of additional income that you will attain by using this software. We will however happily refund your money in full in the unlikely event that you are unhappy with your purchase. Legal Notice: This site and software is not associated with or endorsed by 2CheckOut, Clickbank, Paypal or any other payment service. The special features in the Dragon Download Protector software that enable it to integrate with selected payment services are implemented based upon information made publicly available by the payment services, in conjunction with a range of test purchases performed in order to validate the functionality. All product and brand names mentioned on this page are copyrighted and/or trademarked by their respective owners and we are not associated or affiliated with them in any way.